She was born Aug. 24, 1945, at Brooklyn, New York, the only daughter of the late Alfred and Lura Lafayette Tuzzo. On April 27, 1968, she was married to Bernard Teter, who survives. Also surviving are two daughters, Lura Kathryn Justice and husband, Richard, of Lexington, Kentucky, and Melinda Kay Putman and husband, Jon, of Haysville, Kansas. Three brothers, Alfred Tuzzo of New York, John and Steven Tuzzo, both of Clarksburg, whom Catherine and Bernard raised as their own children; two grandchildren, Brooke Hake and Paul Nelson Teter; and two great-grandchildren, Jeremy and Anna Hake also survive. 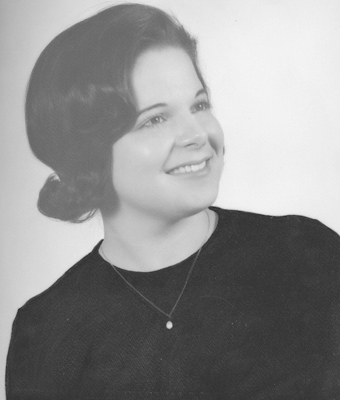 Catherine was an active Randolph County 4-H leader for many years. Catherine and Bernard operated the Beverly Restaurant for 25 years prior to their retirement. She attended Mill Creek Memorial Mission Church. Friends may call from 1-3 p.m. Saturday, April 22, at Tomblyn Funeral Home in Elkins. A funeral service will be held at 3 p.m. Saturday from the funeral home chapel with Pastor Bob Phillips officiating. Interment will follow in Mountain State Memorial Gardens near Gilman. The family has requested memorial contributions be made to the Mill Creek Memorial Mission Church, Rt. 1, Box 329-1, Elkins, WV 26241 or the Central West Virginia Dialysis Patient Fund or C.W.V.D.P.S., 100 Main St., Elkins, WV 26241, in memory of Catherine. Tomblyn Funeral Home of Elkins is in charge of the arrangements for Catherine Lynn Teter. Condolences may be expressed to the family at www.tomblynfuneralhome.com.